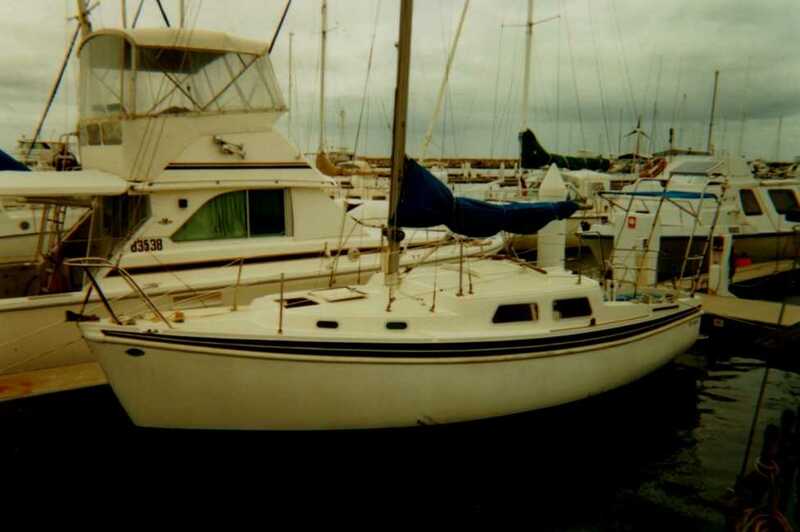 LOA:  8.13 m       26' 8"      26' 8"         25' 7"
LWL:  6.76 m       22' 2"      22' 2"         21' 8"
It has six berths and sleeps 4 comfortably. The cabin headroom is mostly 6 feet. 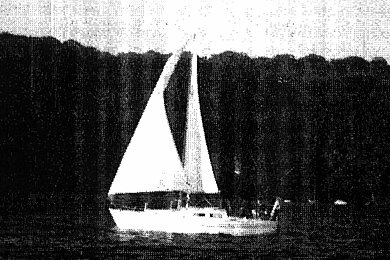 Burong, the Columbia 27 owned by Chris McDonald of of Perth, Australia. 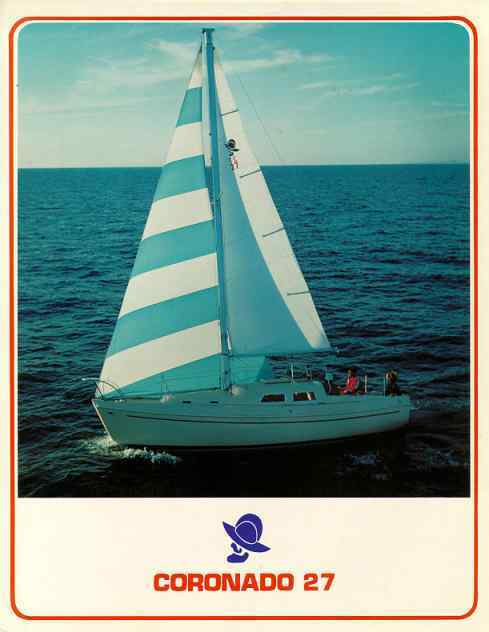 Cover from a Coronado 27 brochure. 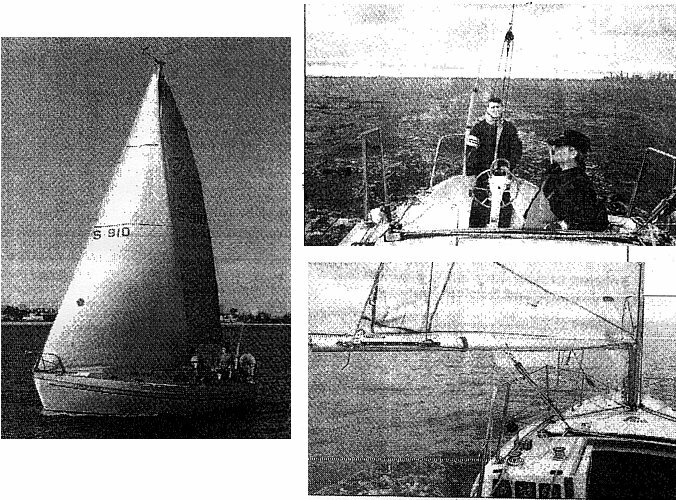 Pictures from the Cruising Helmsman article.